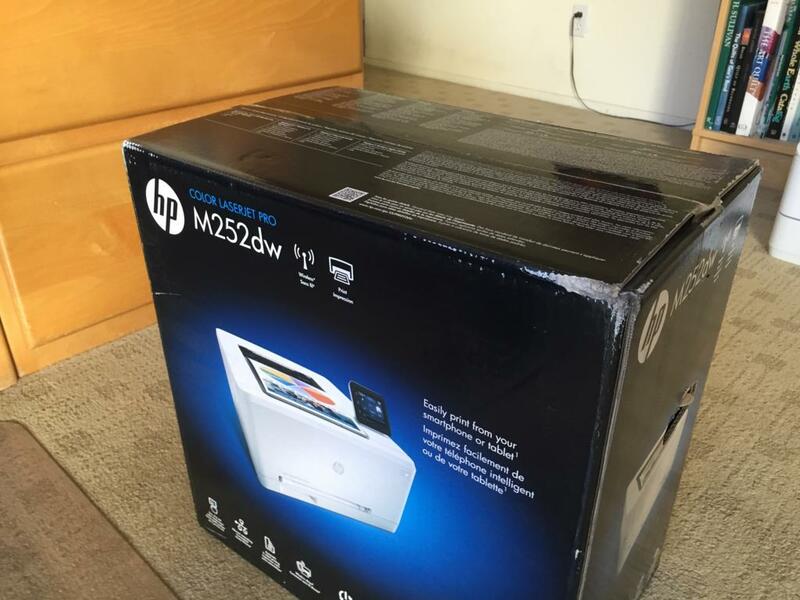 The printer is a small, energy efficient HP model with good quality printing and a fairly high cost per page. It comes with a bunch of unnecessary components. Don't use the USB cable. 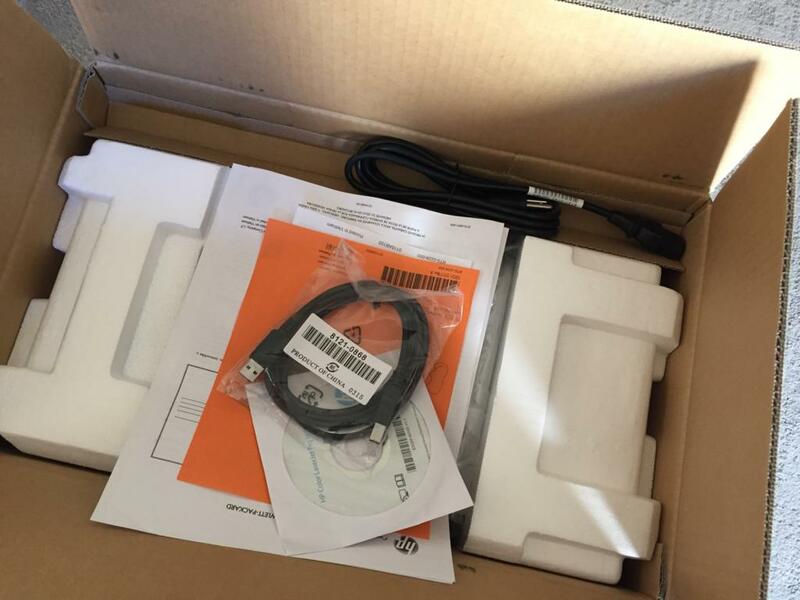 Use Ethernet to connect the printer. Do use the power cord. It looks like this once unpacked. I plugged in the ethernet cable, and powered the computer. It obtained an IP address from my router. The printer has a small touch screen display. The IP address can be set there or it can be set in the web interface. The web interface is extensive for this printer. I went into the settings to configure the network. I changed the IP address to a static address in my local subnet. 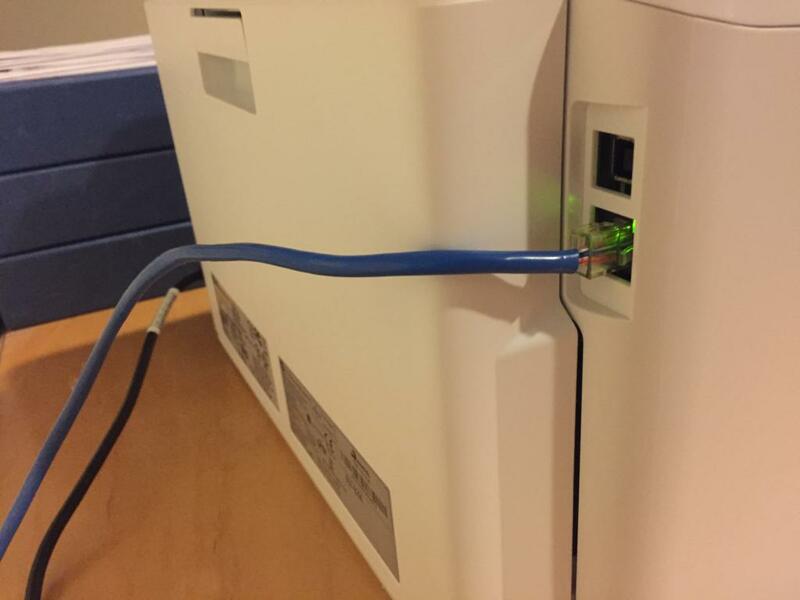 If the ethernet cable is plugged in, the WiFi features of this printer are disabled. However, my router has pretty much the same features. The next paragraph has the detailed instructions to set up the network. Touch the screen to wake it up. Swipe left to show the Setup icon. Touch the Setup icon to enter setup. On the setup menu, swipe up to show the Network Settings icon. Touch the Network Settings icon to enter the network settings menu. Touch IPv4 Config Method to set up the TCP/IP network. Touch Manual to select manual configuration and to enter TCP/IP settings for your network. The first screen will ask for your IP address, and show what the printer has currently. 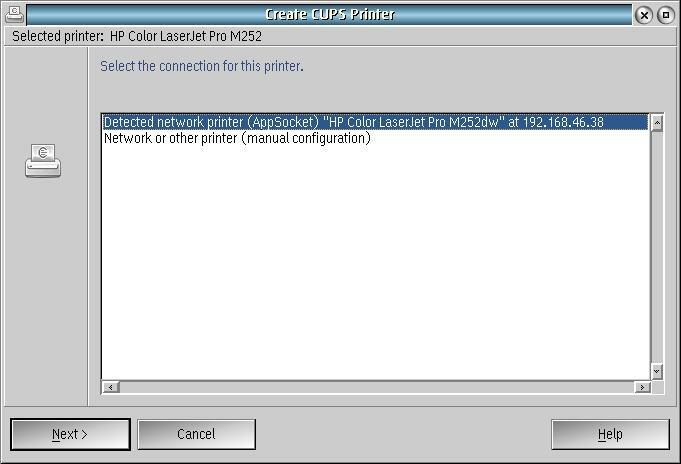 Enter the static IP address you intend for the printer on your local network and touch OK. Confirm your selection by touching Yes. Repeat this for the subnet mask for your local network. Repeat the procedure for your default gateway, which will be you router address. The printer will respond with TCP/IP settings saved. Touch the home icon to the left of the screen to leave the setup program. Configuring the printer is pretty easy. 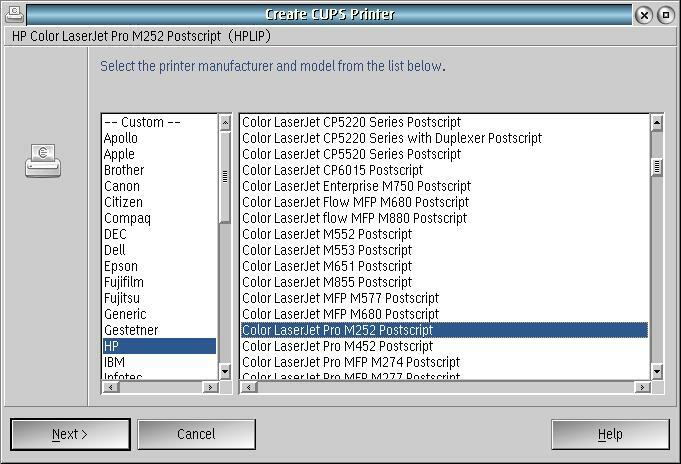 Assembling the various components needed by this easy printer configuration can be cumbersome. 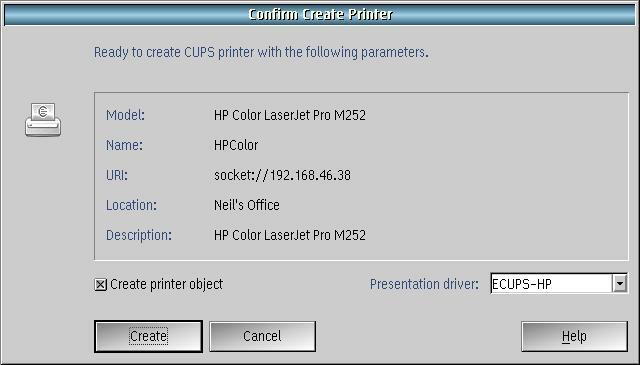 The following items are required for the printer object. The installation can be done automatically by Suntan Special. 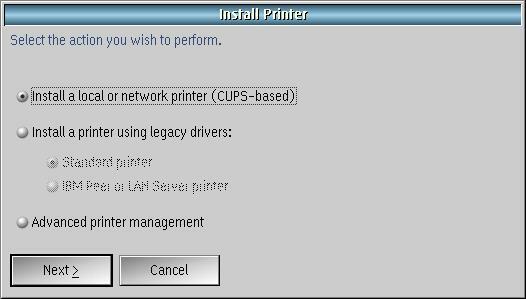 Install ecups if it's not already installed with the operating system, printman and hplip. 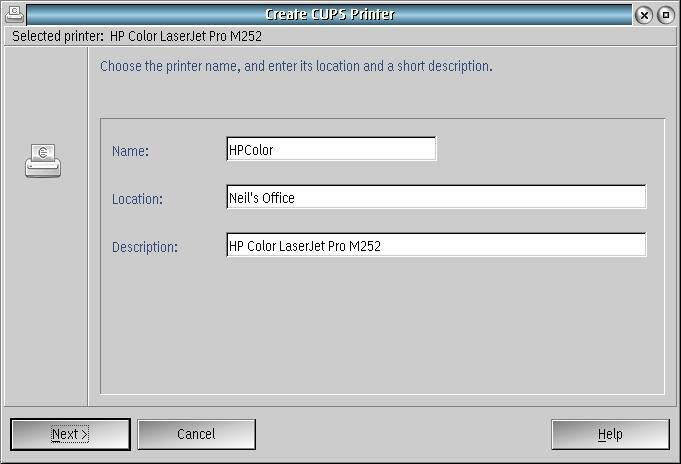 To use eCups, choose to make a cups-based printer. There are so many printers, it can be difficult to find your printer. This model was not supported without the latest update to HPLIP. Let the software detect your printer. If it doesn't find it, the printer may not be correctly configured in the local subnet. 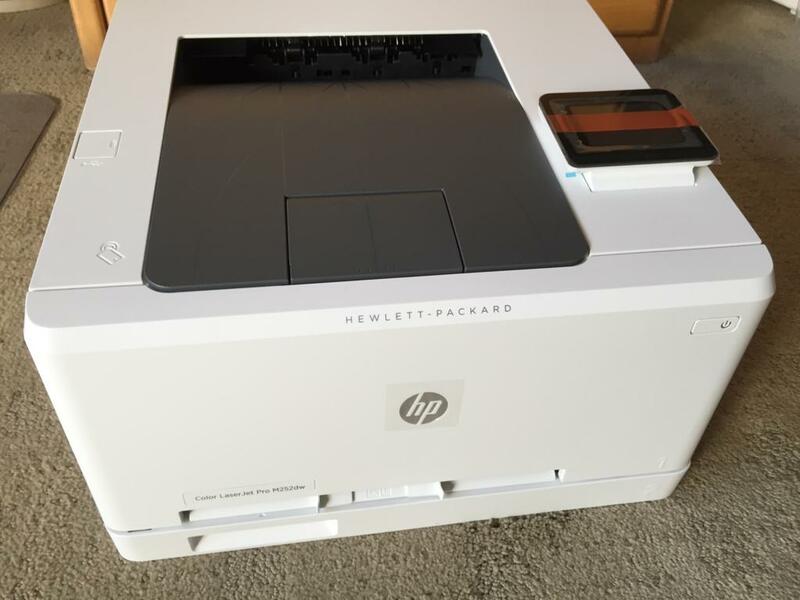 Name and describe the printer to make it easier to troubleshoot if something goes wrong. The printer object can now be used from any OS/2 application.